Friends, how is your energy today? Want to look at clothes with me to clear your head? Can you believe this is a Smoking Lily top? It totally flew under my radar as this is not the type of thing we are used to from Smoking Lily. But, still, it’s cute! 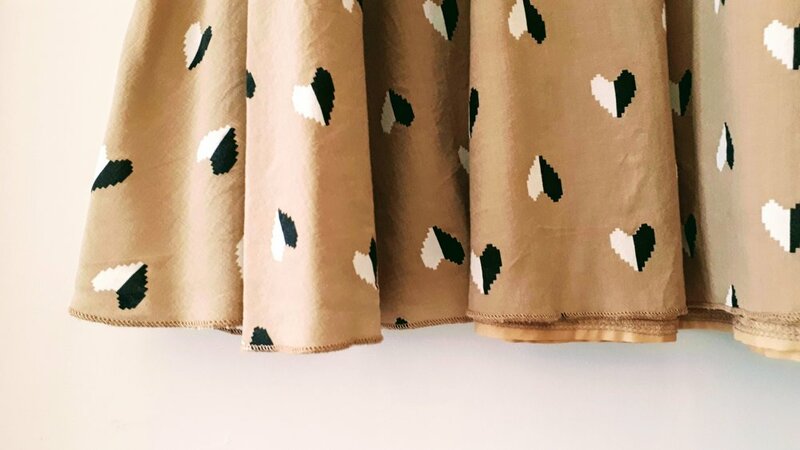 I love the gamine feel of this type of light, summer material! 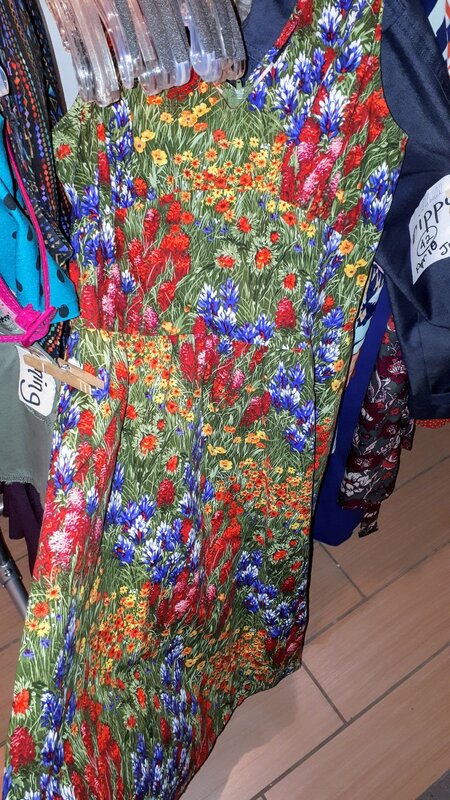 From our friends down the ave, this Workhall dress looks like this on a hanger…..
…or it can hang like this, but I think the way it will wear on a human will be something in between. You get the idea. Anyways, I love this champagne colour! Hurray, a Brave belt! Brave is a Canadian brand from Toronto with a super comprehensive approach to ethical manufacturing. Each leather-good is unique, made from leather that is strictly a by-product of the food industry. They process the leather with vegetable tanning -no chemicals- and each piece is hand-crafted in Toronto! I also took this other picture of the belt, but then I got carried-away with my imagination and anthropomorphized the belt and thought it looked like it was all sad. Which THEN reminded me of the Ikea commercial (“Do you feel sorry for the little lamp?”). AND THENNNNN I found out that they have made a follow-up version to the lamp’s story where, instead of going to the landfill, it gets picked up and re-used and has a very happy life. This belt is not sad. It’s just a belt. But your feelings are valid. Keep being you! Well, well, well. This is a surprise: Loft 82 pants….and they still have their original tags! Are these fun, OR WHAT? I love a nice looking “dressy” short…. ….and this print is killing me! I love the greens and wish they were my curtains! 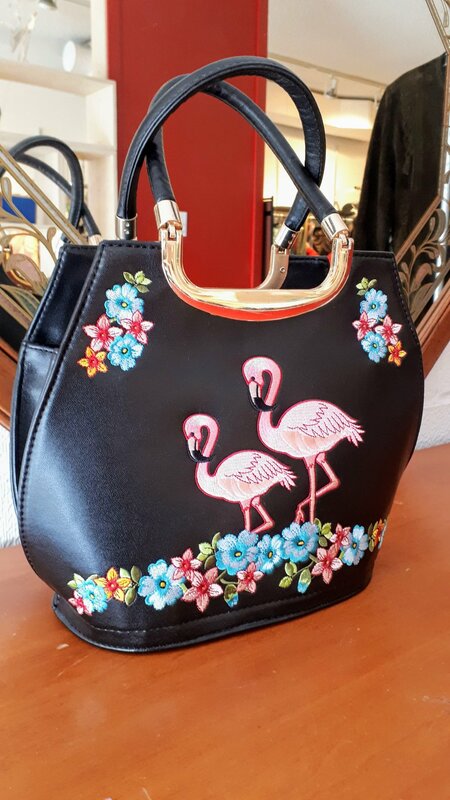 And speaking of fun OR WHAT…..a flamingo purse!!! This one stands up on its own…. ….and comes with a matching wallet! 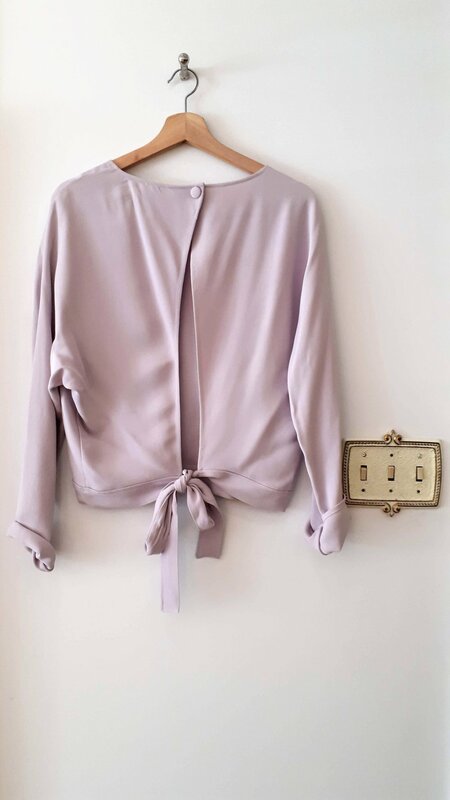 Work with me on the minimalism here, friends, because there is something so soothing and beautiful about this top. I love the light lilac colour; this one in particular does not read as “too sweet” or “too child-like” to me. Plus the back is also so elegant! I don’t know what it is about this one that makes it stand out more to me than any other tulip-back top. The sophisticated covered button? The feminin tie at the bottom? Maybe it’s just the flowey material and the shape. Whatever it is, this one is just so gorgeous to me! Cushy teal shoes! That strap across the top is awesome…. ….and these are practical wedges! Aaaaaaaah, sorry friends, I just love *all* the things this week! I loved the colour and shape (and, ahem, elastic waist) of this easy dress even before I realized that…. 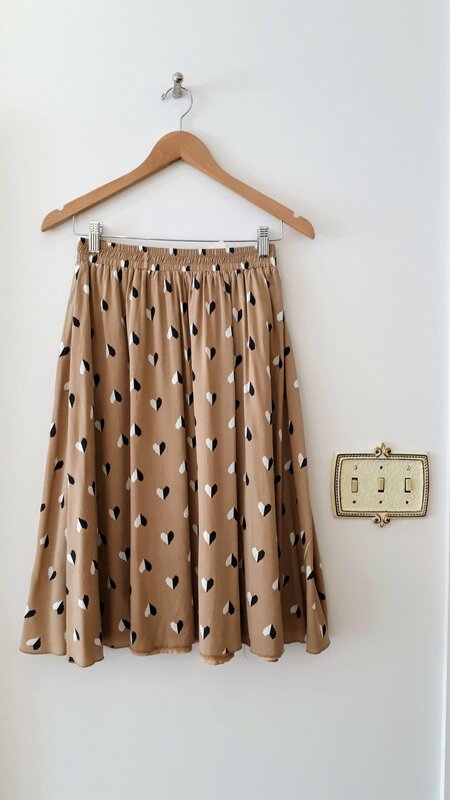 ….the print is pixelated hearts!!! Weeeeeeee!! Fun summer dress from Free People (because I know you people love your Free People)! From the mens section, we looooooooovvve this, right? And here is what I found on the sale rack for you: basic black pencil skirt! Things are turning over fast in the shop these days, friends. Here’s a glimpse of what is waiting to come out….. Remember those bunny shoes we had a few weeks ago? I think these are the same…but with ELVIS HEADS as the heels!!! The shop will be closed on Friday, friends, but I will be in on Saturday so come by for a chat!